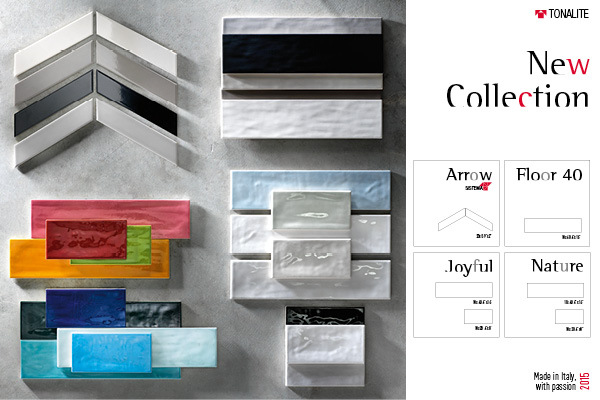 A lively-coloured line of products in two sizes: 10×40 – 10×20. Pastel-coloured coverings in two sizes: 10×40-10×20. This special format, an elonged lozange (chevron), will give your environments a strong European character. A diamond-shaped camber covering in 8 glossy colours plus 7 matte colours. 4 totally new formats and 7 colours that offer unlimited combinations. Next:CERSAIE 2015: what makes Tonalite products unique?